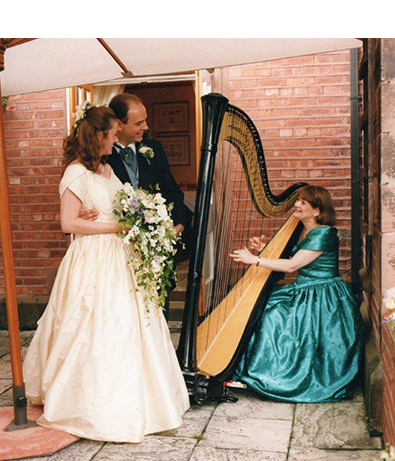 Nerys Hewitt - Harpist/Telynores - North Wales, Cheshire and the North West. Nerys Hewitt Harpist/Telynores - North Wales, Cheshire and the North West. Nerys has performed for many years throughout Great Britain and Europe. She has a large, varied repertoire of Classical, Romantic, Easy Listening, Film, Show and Tradtional Welsh, Scottish and Irish Folk Music. She is proud to play her recently acquired Lyon and Healy Harp made in Chicago. Whatever your requirements, Nerys can provide a sophisticated and relaxed ambience for all present.